The Eastern Panhandle was the edge of the frontier in the 1700s. Men from the area joined up with a young officer named George Washington and started the march into history in what became known as the French and Indian War. Open land that could be used to farm was a big draw for immigrants who came to seek their fortune, find religious liberty or just to start all over again. Today, Tim Williams works in Back Creek Valley on land that is part of that rich history. Settlers were dependent on tools and a rifle. In those days, flintlock rifles that required a pan attached to the side to be loaded with black powder to ignite the powers packed behind the ball in the barrel were cherished. Williams is known nationally as a master craftsman. He hand builds rifles, pistols and fowlers one at a time for a waiting list of buyers, using mostly hand tools to complete his work. He is in such demand that there is a two and a half year waiting list. “I’ve sold guns to California, Arizona — I sell them everywhere. I build about 10 a year. I usually build a few bows, too,” Williams said. His shop is well organized. A .58 caliber flintlock rifle sits on a workbench under construction. Williams builds the rifle to the shooter making sure it’s a good fit. The workmanship is flawless. The process is tedious and exact. Engraving is all done free hand and leaves no margin for error. Holding the rifle, it becomes more than just a hunting or shooting weapon — it’s a work of art. It’s also very accurate. Williams has been known to shoot the flame off of candles and has even shot a poker card in half — that was set on its side. Williams used to build houses. From the very beginning he established himself as a craftsman. People knew if he built their traditional home, it would be done right using the best materials available. Then the recession hit and Williams found himself seeking work. “I kept saying, ‘God, why don’t you give me a job, I need a job, I need work,’ and then He said, ‘Why don’t you do what I sent you?’” Williams said. 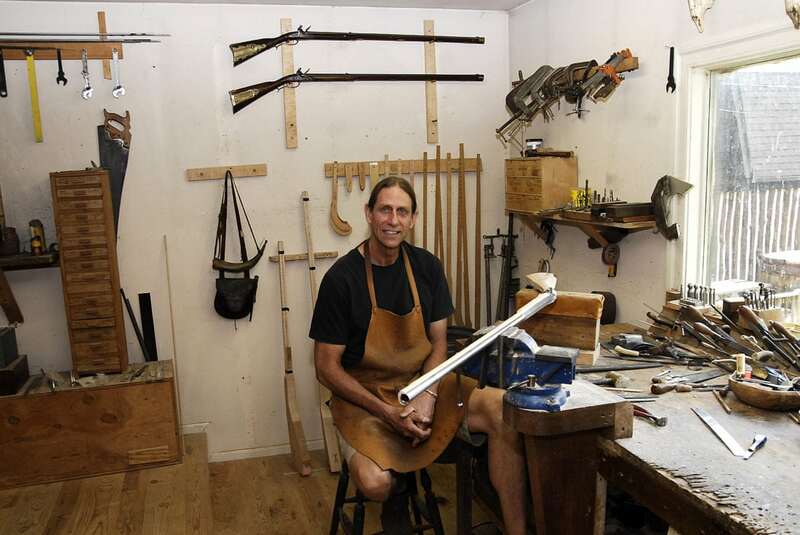 He started making rifles as a hobby while still working as a home builder. Suddenly, it seemed to all make sense. That eye for detail and dedication to craft has carried over to his gun making. Williams found that, just like building homes, he was drawn to traditional, handcrafted ways. Those handcrafted ways are producing an heirloom that will last for generations. Standing in his shop is like going back in time, a time that Williams believes built America. He has provided living history education for adults and school children. He found they also were interested in history, especially when they could see it right in front of them. Today, Williams spends six days a week in his shop. An assortment of hand tools are organized and at the ready. The tools are well cared for just like a settler 260 years ago. It’s a simple life reflecting back to simple times. Williams hunts with his own rifles and everything else from that time period. “We do winter camps and it’s zero degrees sometimes, and we stay just fine with nothing but period clothes,” Williams said. His guns are in such demand that he can’t even keep the ones he builds for himself. “The one I took moose hunting I didn’t have six months. 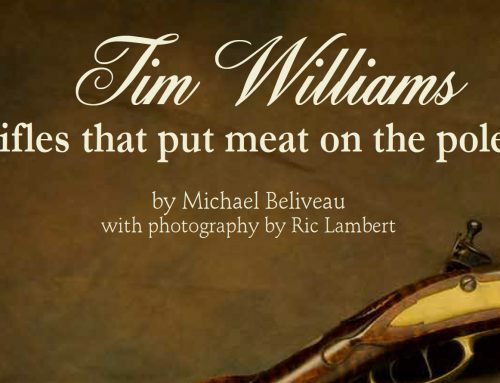 I finished it in August, shot it on a moose hunt in October, shot four deer through rifle season here and then sold it in January,” Williams said.